This year Ryan had a fireman themed birthday. 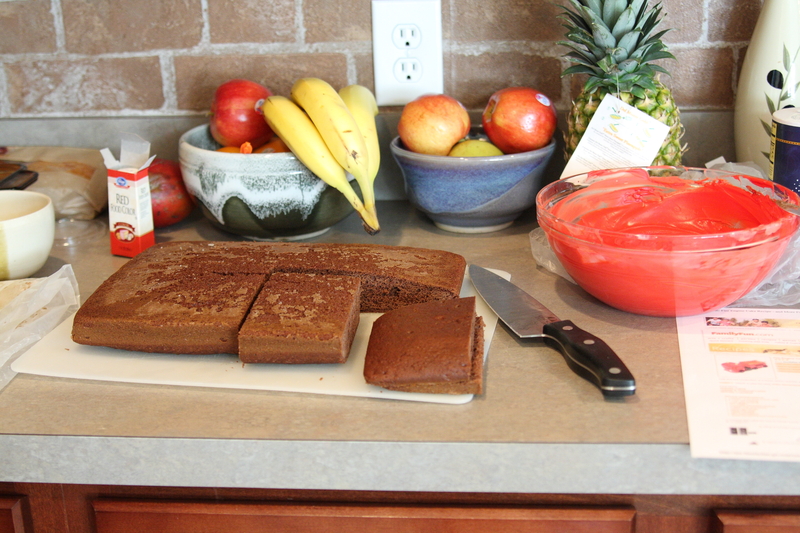 I thought I’d show the progress of the cake in pictures. I must say, that the only reason this looked even remotely like a fire engine is because there was a video online to watch. Oh thank goodness for the Internet. 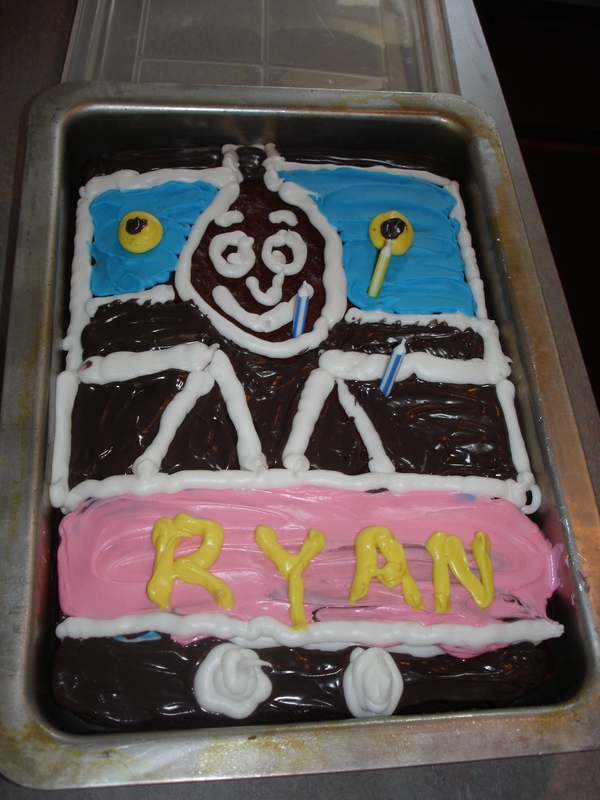 Here’s some more pictures from Ryan’s 4th birthday party. 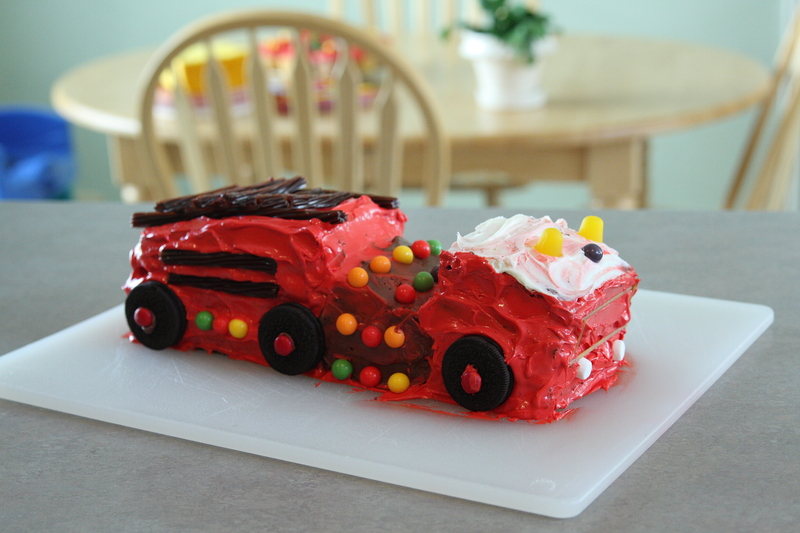 Stay tuned…I will be attempting another Thomas cake in December for AJ’s 3rd birthday. It will be a repeat theme, but the kid just loves Thomas! We officially have a move to Colorado date: June 17th. This is such a bittersweet time for me. I’m saying farewell to my dear family and sweet friends, a neighborhood I love, and the house we became a family in. And hello to a brand new world full of new opportunities. And not only that, my husband is about to start his new job at Northern Hills Christian Church-a dream that is finally being fulfilled. So that’s how I started and had to walk away…Why is change so hard? Why is it so scary? When I know that God has His best for us. It seems too, that the older I get, the more fears that start to creep in. Maybe it’s because I’m now a mom… I don’t know. I thank God for a husband that is so strong in trusting God’s plan for us. I know this all in my head and in my heart. The parts that I continue to struggle with is the trusting and and letting go parts. Alright, needing to walk away again. So goodbye Texas, it’s been an amazing five years-I’ll miss you. And hello Colorado, it’s good to see you again. I can’t wait for the new opportunities and adventures that you have in store for this Green Family. *The pic is two of my favorite people: Misty and Colby. They took me out for one last “Girl’s Night”. 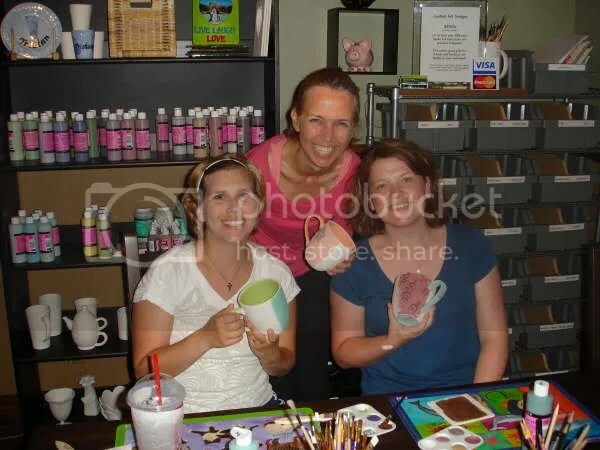 We painted mugs for each other. Friendship is such a blessing!